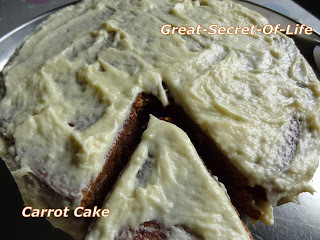 My kids wanted something for the Mothers day and for some reason my 2nd son asked for Carrot cake ( I am not sure whether he ever tried before.. not sure why he was so fascinated about it). I looked around in the net for some recipe.. 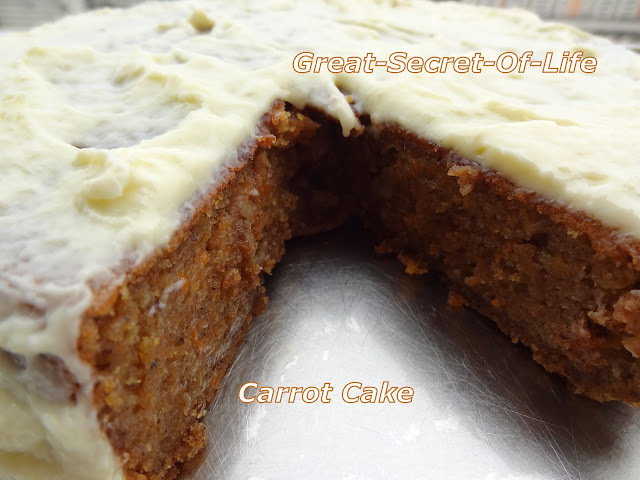 I was so hesitant to try this as it seems it is more involved process than other basic cakes :-). At some point i need to make the progress to next stage so I have decided to give it try anyway. Also this is the first time I tried doing frosting. In the end all the effort paid off. Beat Butter, Cream Cheese and Vanilla until smooth. Add Powdered Sugar and beat until smooth. 1. In a mixing bowl, add All-purpose Flour,Wheat Flour, Baking Soda, Baking Powder, Cinnamon Powder and Nutmeg Powder. Mix well. 2. In another large mixing bowl, add Yogurt, Brown Sugar, Sugar and Vanilla. Mix until sugar dissolves. 3. Add Eggs or Flaxseed Mixture and mix. Add Flour and whisk until a smooth batter is formed. 4. Add Carrots, Walnuts and Butter. Mix well. 5. Lightly butter the bottom and sides of baking pan and dust with flour. 6. Pour the mixture into baking pan and smooth the top. 7. Bake for 30 minutes at 350F/180C. or until the cake is cooked. Use toothpick to check whether cake is cooked or not. Insert the toothpick and nothing should be stick to it. 8. Remove from Oven and allow the cakes to cool in the pan for 5 minutes. 9. Flip them out onto waxed or parchment paper and allow them to cool completely before frosting. 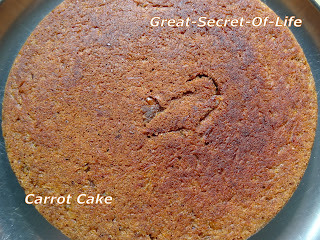 If you do not wish to frost the cake, you can enjoy it immediately. 10. Lightly frost only the top and side of the cake evenly. 12. Tastes best at room temperature or warmed for few seconds in the microwave.